Improve your sight reading with immediate feedback of timing accuracy. Carefully graduated levels from simple to professional allow you to start at your best level and improve at your own pace, more rapidly than on your own instrument. Practice anytime and anywhere. Many advanced features. - Common and rarer rhythms from 2 to 9 beats per bar (2/2, 3/2, 4/2, 2/4, 3/4, 4/4, 5/4, 6/4, 7/4, 3/8, 6/8, 7/8, 9/8, 12/8). - More than 200 fixed exercises (100 (longer ones) on iPad). - Thousands of random exercises. - Levels for absolute beginners as well as professionals. - More difficult exercises include rests, ties, syncopations, duplets, triplets, quadruplets, quintuplets. - Option to add swing to every quarter note meter exercise. - Different degrees of swing: light, medium and hard. - Automatic count-off with one or two bars. - Longer (random) exercises in landscape orientation. - Practice mode: listen or tap along while the rhythm is played. 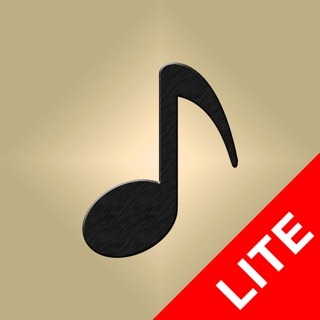 - Test mode: you hear the metronome and must read and tap the rhythm. - Accuracy is instantly displayed visually (color and position) with each tap. - Easily adjust metronome tempo by sliding or keypad. - Two tap buttons for higher tempos. - Any exercise can serve as a starting point for editing. - The editor provides many options to tailor exercises to your needs. - Designed to need very few taps. - Includes an editor for ties. - Add your exercises to favorites. - Share these with others. - Expert mode: a higher default tempo for the exercises plus more accuracy required in tapping. - Endurance test (continuous reading). - Left- and right-hand independence: tap the beat and rhythm with two tap buttons. - Count 6/8 in two (dotted quarter has the beat). - Ear training function to help in rhythmic dictation. - Frequency chart of tap results. - Progress reports for fixed and random exercises. - Mail your results: e.g. send your 100% score graphic or progress reports. 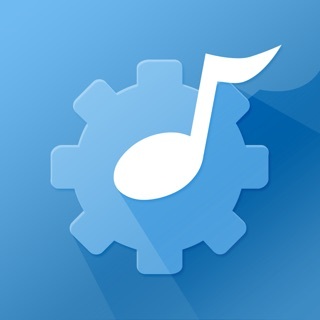 - Sounds of the app player, metronome and taps can be chosen from several percussive instruments. - Optional stereo sound. Hear your taps in the right ear and the metronome/player in the left ear. - Optional beat-counting voice function. - Use of the microphone as an alternative to the tap buttons. - Play the rhythm with hand claps, finger-snaps or an instrument. - Support for external microphones. - Very low latency (instant response). - Classical as well as flat interface themes. - Universal app (iPhone, iPad and iPod Touch). - Support for all screen sizes, including iPhone X, XR, XS, XS Max. - Three 3/2 random levels. - Pass-through microphone audio option. With this option, the tap sounds of the app itself are muted and you hear your own (slightly amplified) sounds. E.g. useful for doing exercises with a drum practice pad and drumsticks. I am actually learning how to stay on beat (not ahead or behind!) and read rhythm thanks to this app. These were both major goals for me as a relatively new bass player. Thank you to the developer for all the time you’ve clearly put into this app. There are incredibly extensive exercises in every time signature imaginable. I love being able to quickly adjust metronome setting and choose between being tested or just practicing, both of which offer different supporting sounds. Visual feedback is superb. I like that I can stay at any level of challenge for as long as I want. I highly recommend this app! I am 49 years old and went to music school. Decided to study jazz piano more seriously in my ‘old age’. I had never been great at reading so I am using computers to gain experience quickly. This app is perfect. I stuck it on random exercises and have not looked back. I am on level 6 of 4/4and feel so much better and confident about rhythms. It just keeps throwing new exercises at me and the beauty is I have it set so I have to sight read it 3 times correctly before it says I got it. This is exactly what I was looking for. You can start from the very basics like I did. I can’t think of a better or faster way to learn to read rhythms. 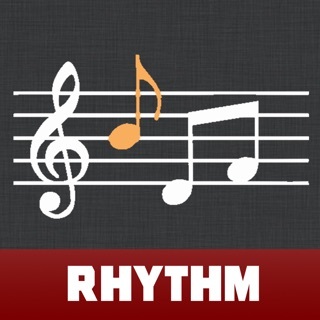 Excellent app for figuring out rhythms!